We’d love your help. Let us know what’s wrong with this preview of Haremlik. Some Pages from the Life of Turkish Women by Demetra Vaka. Vaka Brown's Haremlik is based on experiences in Turkey in the early 1900s when modernization had made inroads into Ottoman domestic life and the harem was becoming a thing of the past. To ask other readers questions about Haremlik. Some Pages from the Life of Turkish Women, please sign up. This book was briefly mentioned in Memoirs of Halide Edib stating it was sugared and that haremlik isn't a real Turkish word. The tone is sometimes patronising stating that Turkish women are like children. 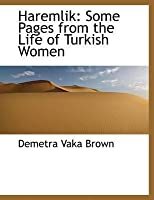 Demetra Vaka Brown born as an Ottoman subject of Greek origin.She went to US in earlier youth days and made her living there. She always heard the Turks being spoken of with the feeling of despise and anger by westerner. On contrary she loved Turks. Therefore for western audience, hence the birth of this book consisting of Turkish aristocrat life, customs, manner and their way of thinking and what she thought of that. The stories featured happened during her visit to Turkey after 6years abroad. H Demetra Vaka Brown born as an Ottoman subject of Greek origin.She went to US in earlier youth days and made her living there. She always heard the Turks being spoken of with the feeling of despise and anger by westerner. On contrary she loved Turks. Therefore for western audience, hence the birth of this book consisting of Turkish aristocrat life, customs, manner and their way of thinking and what she thought of that. The stories featured happened during her visit to Turkey after 6years abroad. 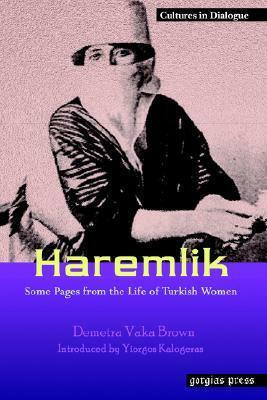 Her description of harem life and its inhabitant was rich and vivid. Yet it written in simple way and did not overbear to the mind and comprehension of outsider. Not to overpraised her but only after reading this book i understood the concept of slavery to the Ottoman Turks.